Some children have greater need for sedation – While all children need sedation at certain times, some kids rely on it more than others. For example, younger children usually have less developed coping skills. Other children are more prone to panic and anxiety. Special needs children may need sedation to remain calm and comfortable. For all children though, sedation decreases the risk of injury from uncontrolled or undesirable movements. Helping to minimize your child’s fear. Children can often feel their parent’s anxiety about a dental procedure, which makes the child more fearful. To increase your own comfort level, discuss every procedure with your pediatric dentist beforehand and ask any questions. If you understand the procedure, know exactly what to expect, and can explain it to your child, this can go a long way for making your child feel more relaxed and confident. Steps to take before the procedure. Inform the dentist about any prescribed, over-the-counter or herbal medications your child is taking. Ask if these medications should be stopped the day of the procedure. If your dentist gives you directions about fasting before sedation, follow these instructions to the letter. If your child becomes ill the day of the procedure, call your dentist and inquire if the appointment should be rescheduled. Steps to take after the procedure. 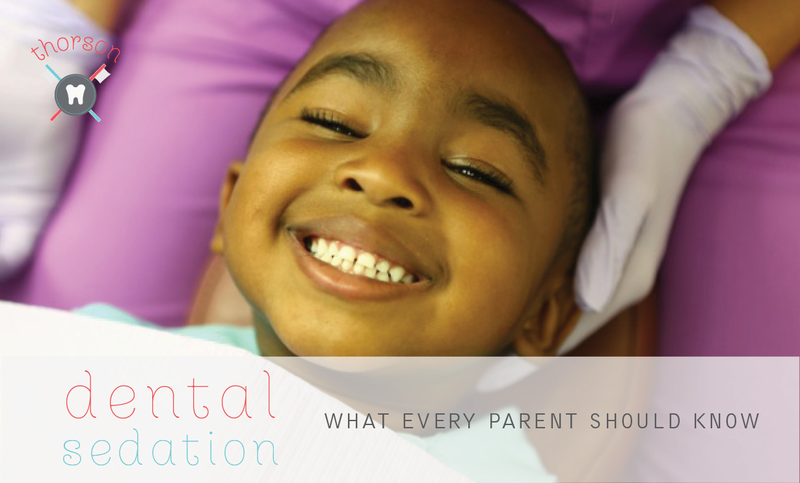 Your dentist will discharge your child when they are responsive, stable and ready to go. Children recover from sedation at different rates, so be prepared to stay at the office until the side-effects are minimal. Upon returning home, your child must be supervised by an adult until they are fully recovered from the sedation. Your dentist will instruct you about appropriate diet and when to resume physical activity. Sedation is safe and effective for children when used according to the guidelines of the American Academy of Pediatric Dentistry. Your dentist will give you very detailed instructions before the procedure, including sedation drugs being used and recommendations based on your child’s overall health and level of anxiety.